Nearly any subject lends itself to lapbooking, but geography is a particularly good topic to demonstrate visually. After all, maps are an essential visual aid to studying geography and lapbooks are a great visual aid for learning and memorization. Studying geography with lapbooks can be so much more than just maps, though! If you’re just getting started with introducing geography terms to your kids, lapbooking can help them with the new vocabulary words by matching pictures with their definitions. 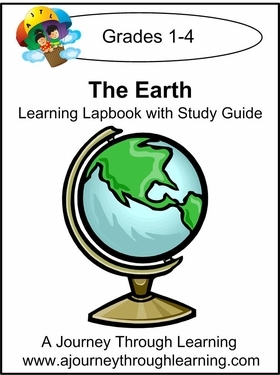 This free geography lapbook is a good place to start with some basic vocabulary like latitude, longitude, peninsula, compass, continents, and different maps. You can even customize some of the booklets to choose your own geography vocabulary. 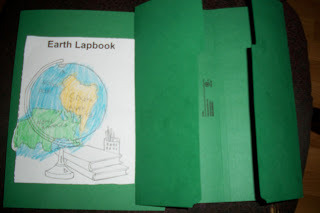 We completed a fun and thorough lapbook called The Earth from A Journey through Learning in our homeschool. This resource is geared towards the first through fourth grade age range. It has fascinating facts about our planet’s geology and geography, with everything from the Earth’s atmosphere to things like the highest mountain in North America. 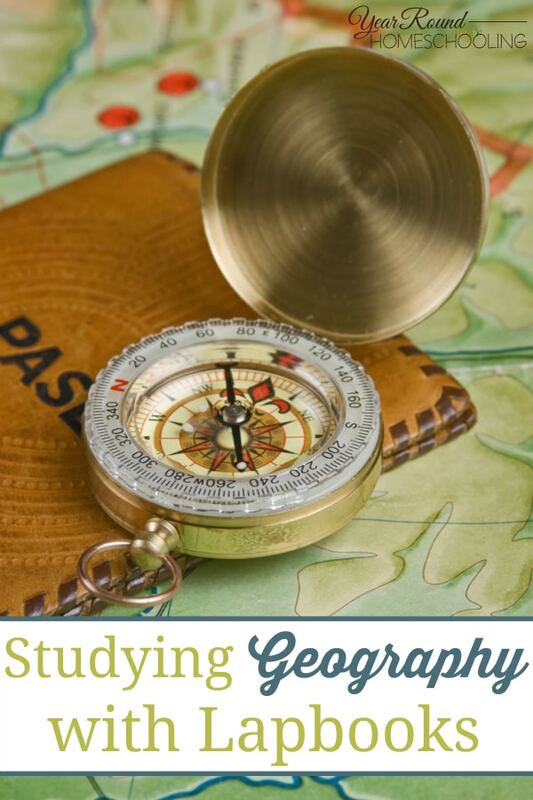 I found a great list of geography resources, including free lapbook templates, in this post from Robin at The Homeschool Post. The focus is on U.S. Geography, such as learning the capitals and major landmarks in each state. She also talks about using Pinterest to put together your resources for geography lapbooking. One of my favorite U.S. Geography lapbooks is from Marine Corps Nomads: Free 50 States Lapbook. 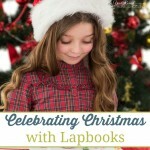 She does a beautiful job with lapbooking and offers so many free ideas and templates of all kinds. 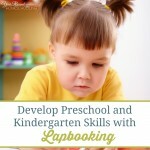 I’ve learned a lot just by looking at the photos of their completed lapbooks. 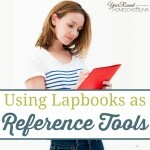 This is a huge topic that can be covered in many different ways through lapbooking. Individual country lapbooks, continent lapbooks, and world landmarks are just a few ideas. 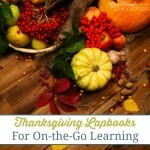 *Note: If you take a living books approach to homeschooling and want to do related geography lapbooks, check out Homeschool Share’s free geography and literature connections for the United States and general/world geography. I hope these ideas will give you a start to try lapbooking in your geography studies! They will serve as helpful visual aids and reference tools to bring geography to life for your kids. Thanks for stopping by, Erin! We love lapbooks and we love Educents. 🙂 I would like to review some of the lapbooks you offer.